Sony officially announced the Xperia Tablet Z back in January but this was only for a release in Japan. This morning the company declared its global launch, including a Canadian release, in Q2. 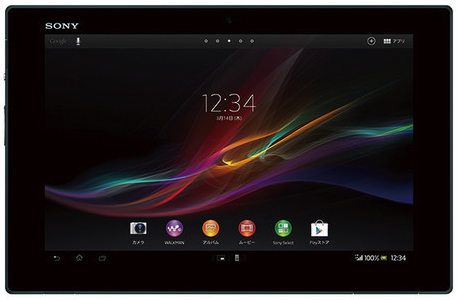 The design is similar to the Xperia Z smartphone and this thin tablet comes in at measly 6.9mm and weighs only 495 grams. The Xperia Tablet Z is looking to take the crown for being the ‘most premium, high performance 10.1″ Android tablet available.’ Solid specs are packed into the Tablet Z: 1.5Ghz Qualcomm APQ8064 quad-core processor, 2GB of RAM, 32GB of internal storage, 8.1MP camera with “Exmor R for mobile” and a 2MP front-facing camera, One-touch connectivity with NFC (we saw this in action at CES with the mini speaker). In addition, the Tablet Z learnt and expanded from the Xperia Tablet S as it’s dust and water resistant (IP55 & IP57), a 6000mAh battery and runs Android 4.1 Jelly Bean. The Xperia Tablet Z will be available in black or white and in LTE and WiFi versions. For us Canadians we’ll only see the Wi-Fi model arrive in Q2 – you’ll be able to buy this at all major big box locations and the Sony Store – then potentially carriers will launch the LTE-enabled model later this year. No word yet on the price points.